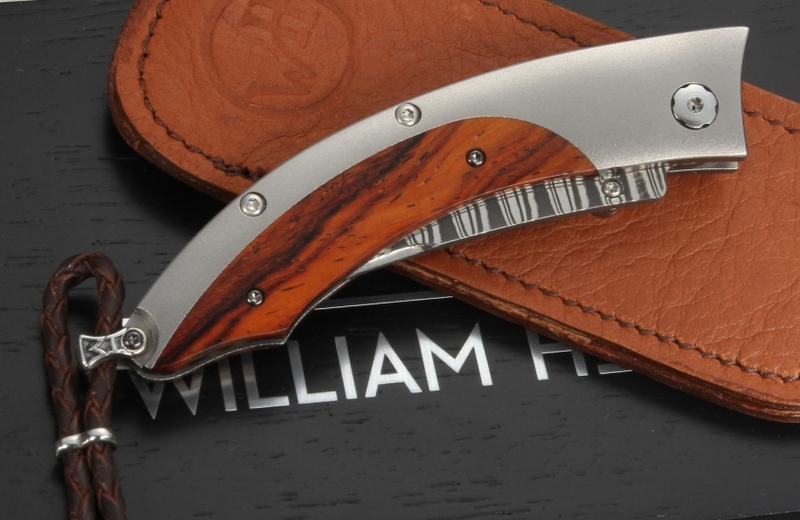 A limited edition of only 100 individually numbered knives. 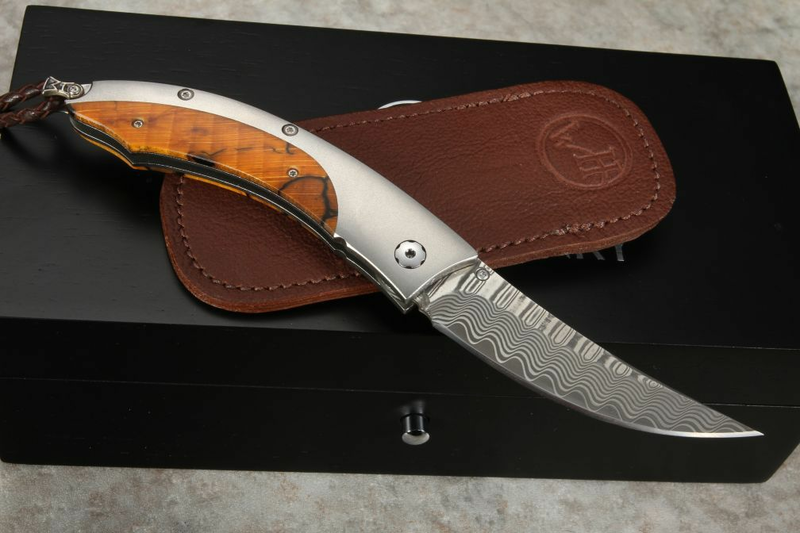 Gorgeous selection of premium orange spalted beechwood and stainless wave pattern damascus with a ZDP-189 cutting core. 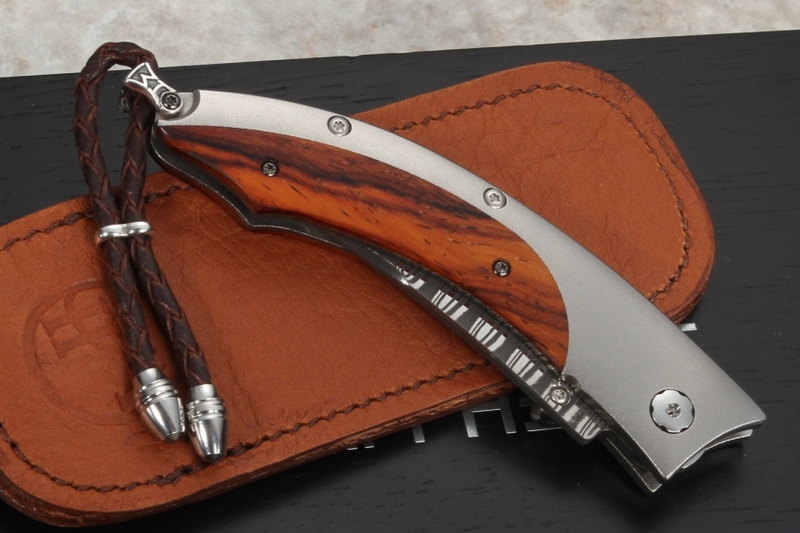 The knife has citrine gemstone inlays on the button lock and the thumb stud. The B11 Drift comes with a brown leather clip case. 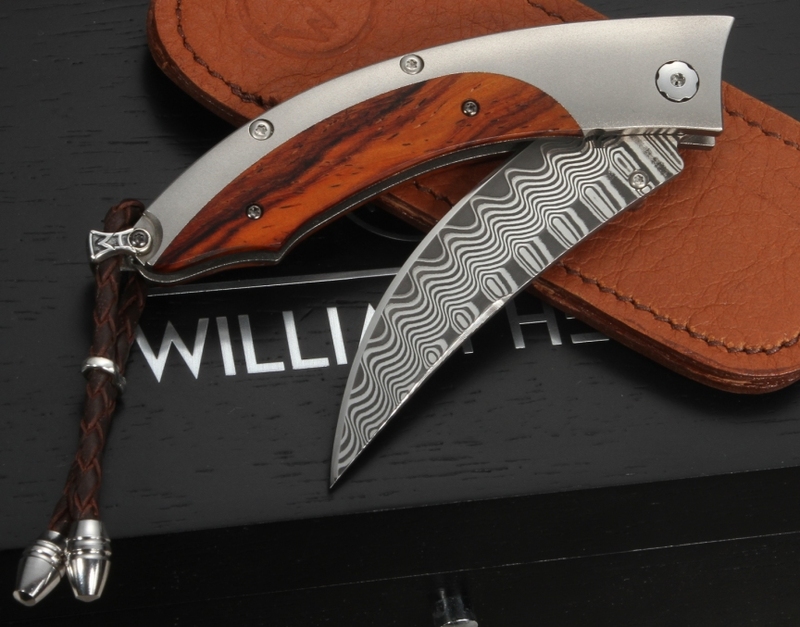 The William Henry knife is completed in sterling silver bale with a brown leather lanyard and stainless steel beads. Smooth opening and closing action. 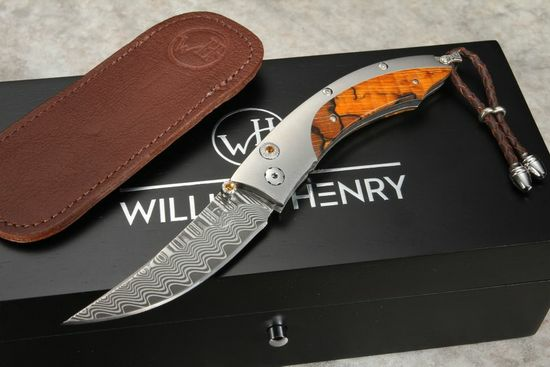 The knife is individually numbered and comes in an attractive wood presentation box.